All these thoughts are scary, aren’t they? Whew, glad that’s going to be dealt with! Inspiring. I haven’t heard the clock 🕰 ticking away yet. Your poem is revealing. 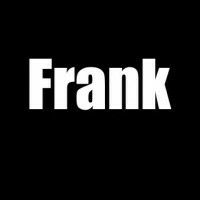 Thank you for sharing Frank. Although dark … food for thought … live well. Only a loss can cause such depth. I noticed that your write ups are dark for the past few posts. Beautiful writing, and heart wrenching. Thanks. More dark posts comin’ up.